Raleigh continues to grow, and with that growth brings so many different types of architecture and styles of homes, new and old throughout the Triangle. At Garage Door Specialist, we offer a huge selection of garage door styles and garage door opener options for you to choose from, but don’t worry – we are here to help you throughout the entire process! We recently did a garage door installation in Raleigh which completely transformed not just the exterior of the home but the functionality of the garage itself. Previously, there had been standard ceiling mount operators and tracks. 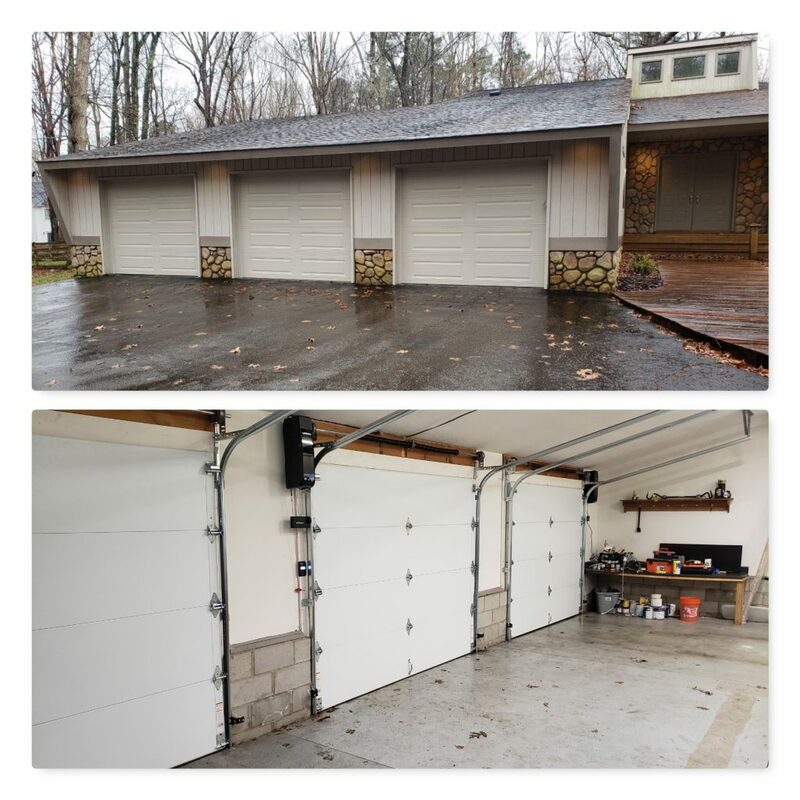 For this project, our team installed Liftmaster 8500 side mount garage door operators and follow the pitch tracks to create more storage space in the garage. We used CHI long raised panel garage doors in desert tan which matched the exterior of the home perfectly. With the included lifetime warranty, they are sure to have peace of mind knowing that our team will be there to help for many years to come. Looking to organize your garage? Follow the pitch tracks on the interior of your garage can add so much storage space, giving you more room for seasonal items, fit larger vehicles, and improve the appearance of your garage overall. Our customers always love the dramatic difference it can make! Ready to start your garage project? Our expert team at Garage Door Specialist is ready to transform the exterior and interior of your garage. Contact us or give us a call today to schedule your free garage door consultation at 919-841-0030.